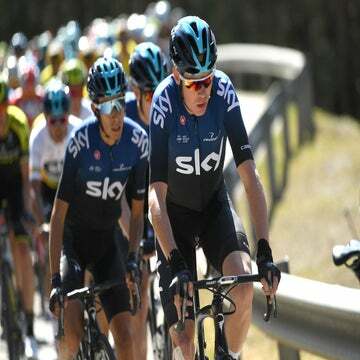 Chris Froome makes his European debut Monday at the Volta a Catalunya in what should be a thrilling showdown between Team Sky and Movistar. Movistar has owned the past three editions, with reigning world champion Alejandro Valverde taking back-to-back wins and Nairo Quintana victorious in 2016. Movistar brings its A-team to the week-long stage race across Spain’s Catalunya region, with Valverde and Quintana joined by Richard Carapaz and Marc Soler. The race runs March 25-31. Sky lines up with its GC team for the future. Besides Froome, racing for just the second time in 2019, and fellow veteran Christian Knees, the British outfit brings a loaded team packed with youth. Egan Bernal, 22, hot off winning Paris-Nice, rounds out the team with promising riders Ivan Sosa and Pavel Sivakov, both 21 years of age. Of course, one should not look past the rest of what’s a very deep peloton. The Yates brothers at Mitchelton-Scott, Miguel Angel López (Astana), Richie Porte (Trek-Segafredo), Steven Kruijswijk (Jumbo-Visma), Dan Martin (UAE-Emirates), Romain Bardet (Ag2r La Mondiale), and Thibaut Pinot (Groupama-FDJ) round out an all-star cast for Spain’s first WorldTour stage race of the season. Michael Woods (EF Education First) will also be making his European season debut and should be riding sharp ahead of the Ardennes classics. Brent Bookwalter (Mitchelton-Scott), Sepp Kuss (Jumbo-Visma), Peter Stetina (Trek-Segafredo), Tejay Van Garderen, Joe Dombrowski and Nate Brown (EF Education First), and Joey Rosskopf (CCC Team) are the seven U.S. riders lining up. This year’s course does not feature a time trial, so the GC should be decided on the summit finales in stages 3 and 4. Hilly terrain in the transition stages can produce surprises, and time bonuses can add up to make important differences on the overall standings. Things get steep in stage 3 to Vallter 2000 with a first-category climb at the end of a rolling stage from the Costa Brava into the Catalan Pyrénées. Stage 4 is the hardest, featuring two first-category and one HC climb before ending at the Cat. 1 summit at La Molina. In 2018, Valverde won at La Molina ahead of Bernal to secure the overall lead. 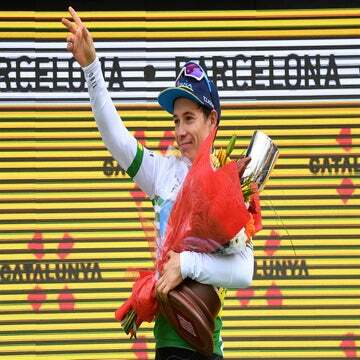 Last year, Movistar was playing cat-and-mouse with Bernal. Valverde led the GC and Quintana marked Bernal’s wheel in third, with the Sky rider sandwiched in the middle. Bernal went out in a final-day crash, robbing him of a chance to earn his first European WorldTour podium. Valverde will be among the favorites. The defending champion is hot off seventh at Milano-Sanremo, and hopes to win his first stage race of his rainbow jersey season. With the level so high among the field and a lack of time trials, if someone doesn’t ride away from the peloton in stages 3 or 4, the GC could come down to placings and time bonuses. The race is also among the favorite for many of the top pros who live in Girona. For the ex-pats call this corner of northeast Spain home, this is as close as it gets to a home-road race. Weather can often wreak havoc, especially in the Pyrénéen stages. This year’s forecast is calling for pleasant spring racing conditions, with highs 60s along the coastal areas and the 50s in higher elevations under mostly sunny skies. It has been a light snow year in the Pyrénées. Roads should be good condition for the highly anticipated matchup. Catalunya is the fourth-oldest stage race in Europe, only behind the Tour de France, Tour of Belgium and Giro d’Italia in age. It’s moved around the calendar, from autumn to May, and most recently slotted into March in 2010.